Trust the local team with over 40 years of experience in professional tree care. 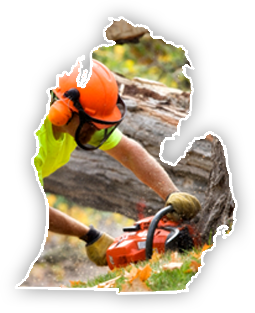 With over 40 years of experience providing Oakland County and the surrounding communities with quality tree care, you can rest assured that Big Guys Tree Service can tackle your trickiest tree service needs with ease. 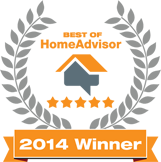 Hire us and you'll find out why we were chosen as a 2014 Winner of Best of Home Advisor. Trees can increase your property value as much as 10%. Keep your trees looking their best with our expert tree trimming services! Our tree trimming services will improve the health of your trees by removing dead and diseased limbs that could cause the entire tree to rot, and with our ornamental pruning service, you can give your trees or shrubs a unique look that will complement your landscape design. When Mother Nature wreaks havoc on your property, you can turn to Big Guys Tree Service for responsive emergency service - 24/7. Our fleet of top-notch equipment is ready at a moment’s notice to help you get your property back to normal. All debris that is removed from your site is 100% recycled so that no waste is incurred. Some plants can only be trimmed during certain times of the year. 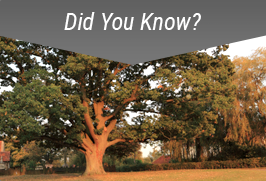 Trimming an oak tree between April 1st and October 31st can leave your trees at a significantly greater risk of contracting oak wilt (Ceratocystis Fagacearum), a serious disease that can quickly kill oak trees. Big Guys tree service has the knowledge and experience needed to make sure your trees stay healthy and beautiful. Contact us today to get a fast, free, no-obligation estimate for all your tree care needs!